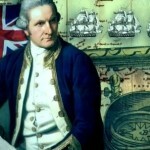 Captain Cook was one of the most famous scientific navigators, one of the foremost figures of the Age of Exploration. 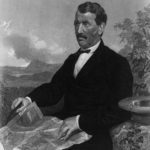 He headed three expeditions to the Pacific Ocean. 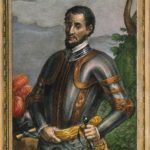 During these expeditions, he made a number of geographical discoveries. 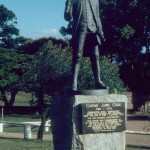 Cook was the first European to arrive on the east coast of Australia. He drew maps of the coasts of Australia and New Zealand. 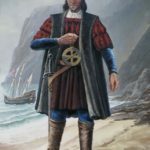 He was also the first European to arrive at Hawaii. 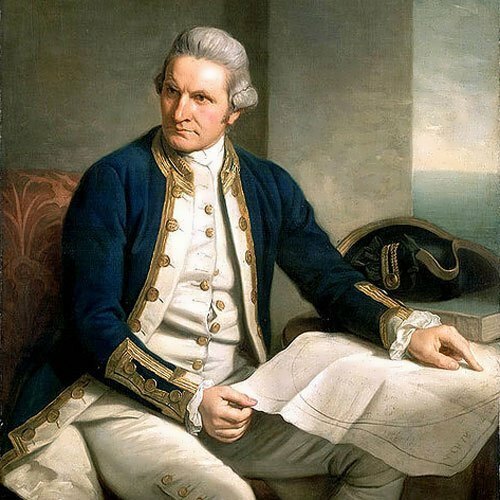 He was a British naval officer, explorer, cartographer, a member of the Royal Society and the Royal Navy captain. 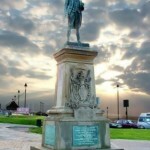 James Cook was born on October 27 (November 7), 1728 in Marton-in-Cleveland, Yorkshire, England. He was one of the seven children. Unfortunately four of them died before they passed the age of five. James helped his father on a farm, then worked in a shop. Since his childhood James dreamed of becoming a sailor. At the age of 18, he became a ship’s boy on a coal ship and spent the next 9 years sailing from the River Tyne to London and the Baltic. When he was 24, he joined the Royal Navy. In 1762 James married Elizabeth Batts. 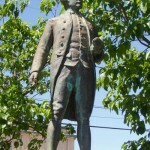 In 1763 Cook was given a schooner, Grenville, and was charged with surveying the coasts of Newfoundland, Labrador, and Nova Scotia. 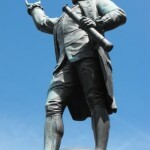 King George III was interested in scientific discoveries. 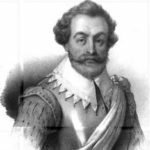 In 1768 he gave money for the voyage and Cook was chosen to captain the ship called the Endeavor. Cook went to Tahiti, which had been discovered by the Europeans only a year before. Everything on the island was shockingly different. The crew was amazed. In 1769, Cook received order to leave the island and look for the Great Southern Continent which was called Terra Australis Incognita. Cook stopped in a bay that was so full of unknown plants that Cook named it Botany Bay. Joseph Banks, who sailed with Captain Cook, discovered and collected many unknown plants, especially in Australia. 3 years later Cook returned to England. 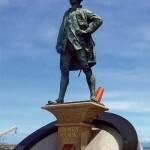 In July, 1772, Captain Cook went on his second voyage, which lasted 3 years. 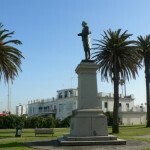 He sailed south to Antarctica and then explored and mapped many of the islands of the Pacific. In 1774 Cook discovered Easter Island where his crew found seven giant stone figures. During his voyage Cook had made very important discovery – good nutrition enabled his crew to stay healthy despite the long days at sea. For this medical advance, Cook received the Copley Gold Medal from the Royal Society. 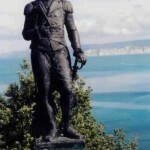 In 1776, a year after returning home, Captain Cook sailed to the Pacific again. 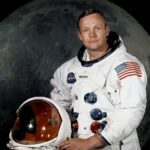 He spent Christmas 1777 on a coral atoll, Christmas Island. Then he discovered Hawaii. In 1778 Cook reached the Canadian coast. 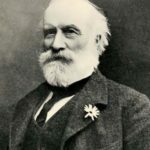 Rounding Alaska, he sailed through the Bering Strait and entered the Arctic Sea. The weather was terrible and Cook decided to return to Hawaii. The Hawaiians stole things from his ship and the captain was very angry. He tried to punish the thieves. In a fight Cook was hit on the head, stabbed and drowned. He died on February 14, 1779. The Hawaiians partly ate and then burnt Cook’s body. However, a few days later they returned most of his bones.